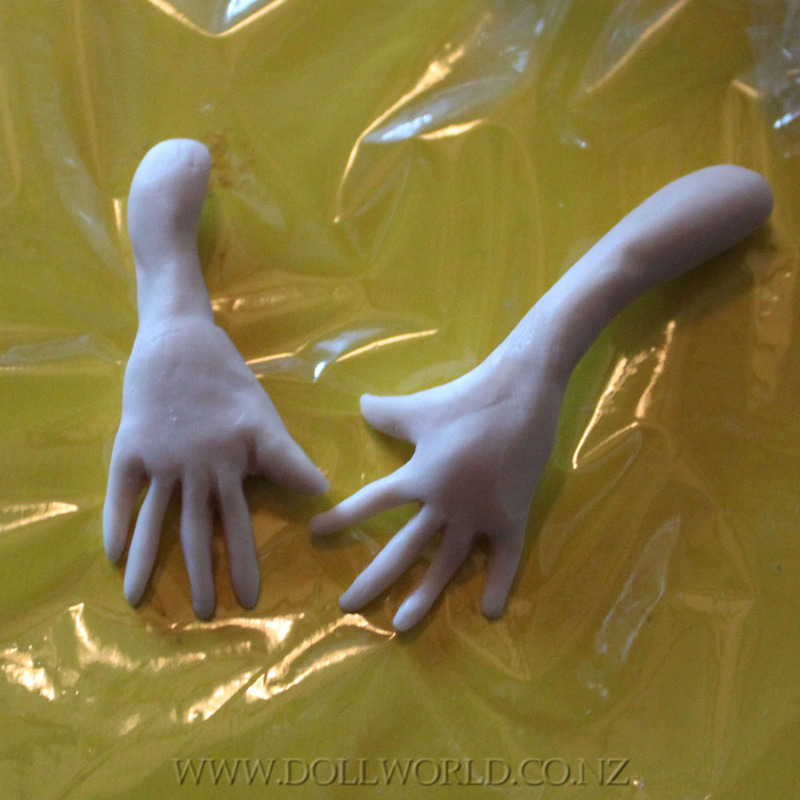 Hands and feet can be either sculptured on the doll, or you may find it a bit easier to sculpt the hands and feet off the doll and then attach before baking. In this case one hand has the tube through the palm. So I have sculpted the hands off the doll, and then slit the clay all the way through the arm, wrist and half way into the palm. That was then placed around the arm tube and pressed to join the sides together. The fingers are gently posed, keeping in mind they need to sit in line with the flower, but the flower can be posed and bent itself, so its not too much of a worry. The head is made off the doll by sculpting it on a stick. For this doll I continued the process of having a tinfoil and masking tape core. Then a layer of clay was added and the the details. Again the best tip is get the shape right first. If you don’t get the shape right you will find yourself trying to force the face around while you are adding details and it will be frustrating work. But get the shape right and the details will just flow from there. Tibetan Wool is used for the hair, attached with Fabri-tac Glue, and I made her a little flower for her hair that is painted in brown, tans and gold highlights, and that is attached to her head with a leather headband and some feathers for embellishment.